I’m not sure if my son or I are more excited that Mister Maker is coming to South Africa for the DStv Kids’ Xtravaganza at Vodacom World in Midrand from 28 June to 6 July. During the four-day show, kids can see Mister Maker and Ben 10 (there are four live shows a day), plus there’s the Fun Zone, which has face painting, jumping castles, a Lego puzzle section, gaming stations courtesy of Sony PlayStation and aswesome kids’ merchandise from retailers such as Toys R Us and Glomail. Refreshments will be available to purchase in the food court. Each ticket – priced at R135 from Computicket – entitles the bearer to two hours of access to the DStv Kids’ Xtravaganza: one 30-minute live show and 90 minutes in the huge Fun Zone. Simply comment below, and mention which show you’d like to see. You’ll be entered into the draw, and two winners (one for Ben 10, and one for Mister Maker) will be drawn via random.org. This prize is not transferable for cash, and show dates and times cannot be swapped. The prize does not include transport. The competition closes on Friday 26 June at 9am. The winners will be announced on the Rattle and Mum Facebook page, and emailed. Vodacom is donating R7 from every ticket purchased to Reach For A Dream, in the hope of raising R200 000 towards sustaining their invaluable work. The DStv Kids’ Xtravaganza will also host 50 Reach For A Dream Dreamers at the event, where they will enjoy the live shows, explore the Fun Zone and take home a goodie bag packed with products from Toys R Us, Sony PlayStation and Glomail. Tickets cost R135 from Computicket, with children under one admitted free of charge. Visit the DStv Kids Facebook page for more information. Yeahhh!! My kids love mraker. 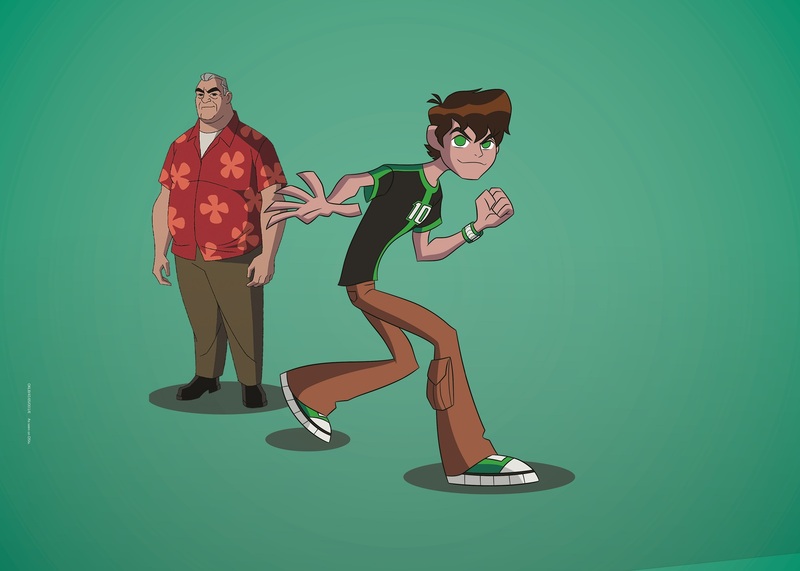 And Ben 10 os one of Jasen’s favorite’s..
We’d love to see Mr Maker!! We would LOVE to see Mr Maker! Madison would be over the moon to see Mr Majer! Madison would be over the moon to see Mr Maker! I would love to win Mr. Maker tickets for my little niece who just recently turned 4. We don’t have all channels but when we visit friends with premium package or have an all open channel trial, it’s all she watches. She also loves arts, craft and dancing. I’d love to take Arnan to see Mr Maker, he was just over 1 years old the first time we saw him at the Baby Expo. This will make Warona s’ best midterm break one of the best and both mother and child will enjoy Mr Maker. Would love to attend the Mr Maker show.